Illustration for the monthly SVSlearn.com competition. Sometimes the monster under your bed isn’t as scary as you think. Illustration sketch for a Halloween concept. 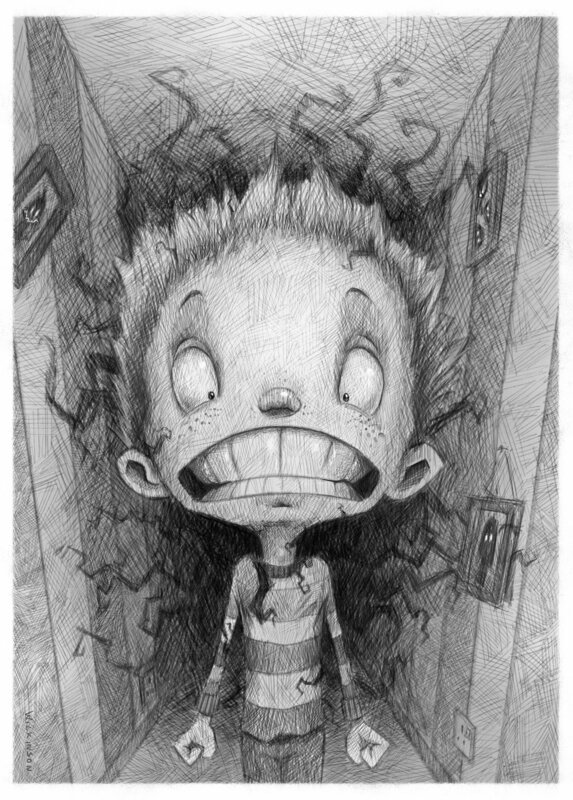 As a child one of my scariest moments was walking to the bathroom at night. There was always a feeling that something was creeping up behind me…. Happy Halloween!! Illustration for the SVS Learn “Mushroom” competition. Coming back after a nice holiday is the worst, especially when you find something eating your house. 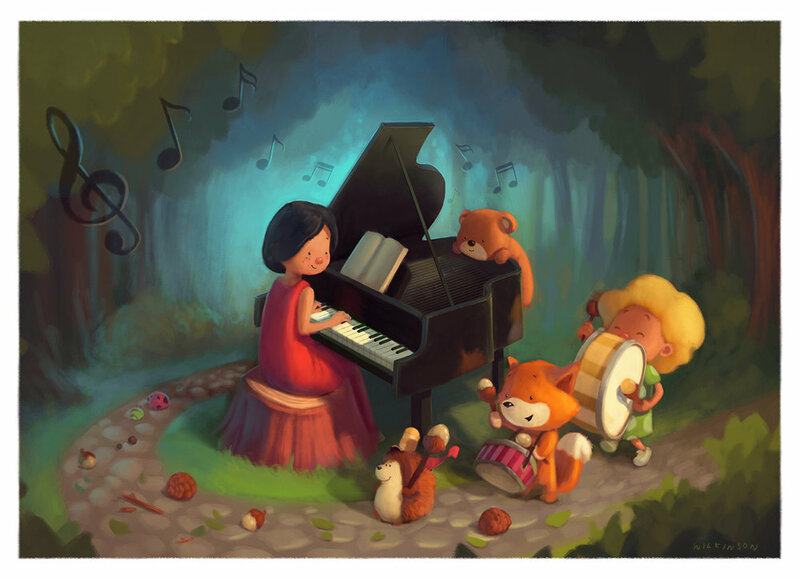 Children’s illustration of a band of musical animals and children accompanied by their piano teacher. This piece was a commission by a local music school. The next illustration in the cardboard adventure series is the “Pirate Boat”. Isn’t it great when everyone gets to have their own little adventure. Today our characters have decided to be in their own little imaginary world. Even Dad is taking part! Children's illustration as part of my "Cardboard Adventure" series. Hop aboard and join us all on a fun and happy adventure! Colorful and cheerful illustration of a father and daughter playing with their cardboard planes. Cardboard Adventures Sketch - "What to make?" A sketch for the ongoing cardboard adventure series. As part of the MerMay 2018 challenge I did my own take of becoming a mermaid with the use of cardboard. Sometimes it’s tough trying to make it yourself. 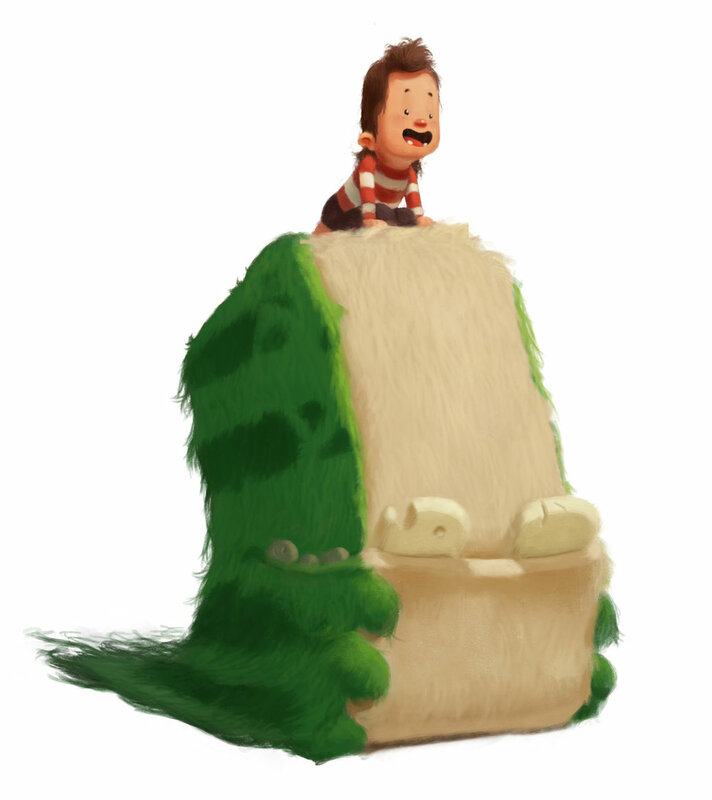 A sample illustration from an upcoming children’s book about Easter. This illustration is a scene in my upcoming children’s book, “The Easter Pig”. Searching for the right kind of animal can be difficult, but it seems that Mother Nature may have found the right one for her. Children can be a hassle, especially when they are pigs. 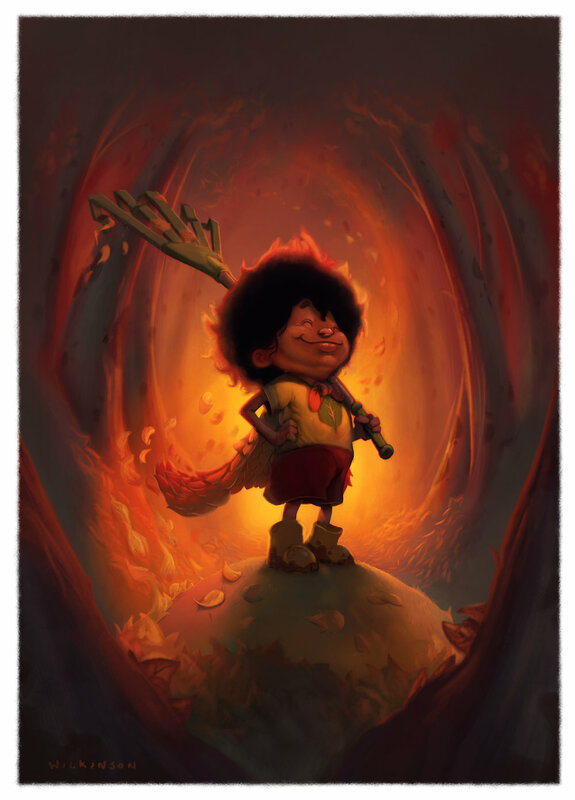 This illustration was made as part of a personal project. Prompted by the theme "Worst Fear" this piece looks at the one person left behind after the death of a loved one. Although this painting is very sombre, there can be happiness found in the memories scattered in the photos on the wall. An illustration of group of ants riding ladybugs as they return home after collecting their sugary treats for the picnic. Painted digitally in Adobe Photoshop with a Wacom Cintiq tablet. Digital painting of a cute, furry animal, called the Cotton Picker. Autumn is my favorite season, however raking leaves is not something I look forward to. Luckily we can call on the Queen of Fall do it for us! Illustration for the monster rider series. The monster riders are a group of children who have created their own monsters in the dream world. Buddy is a strong, but clumsy creature and will eat anything you give him. Illustration for the monster rider series. 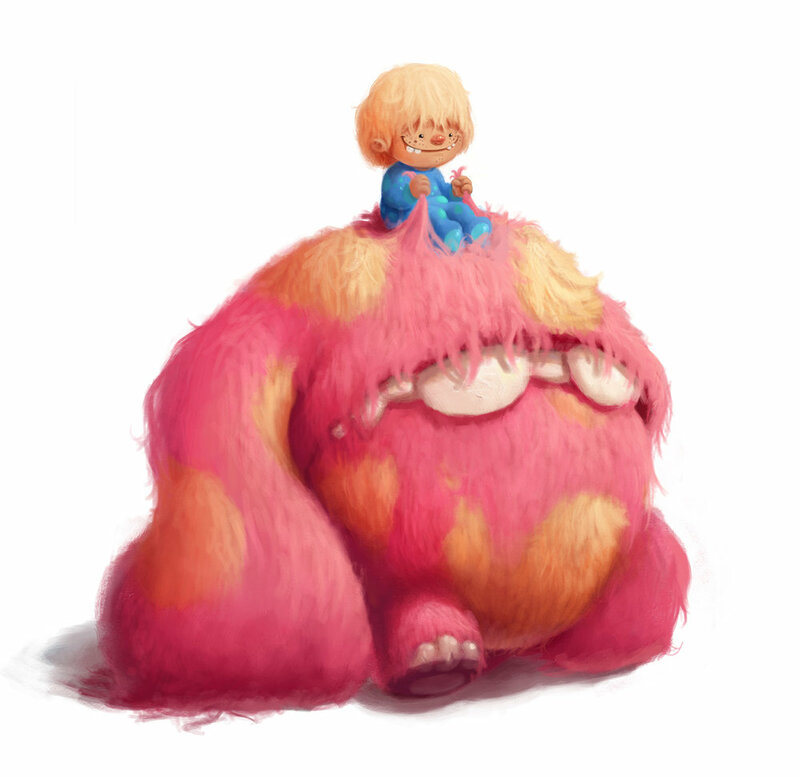 The monster riders are a group of children who have created their own monsters in the dream world. Grub can be quite slow, but he always gets you where you want to go. Illustration for the monster rider series. 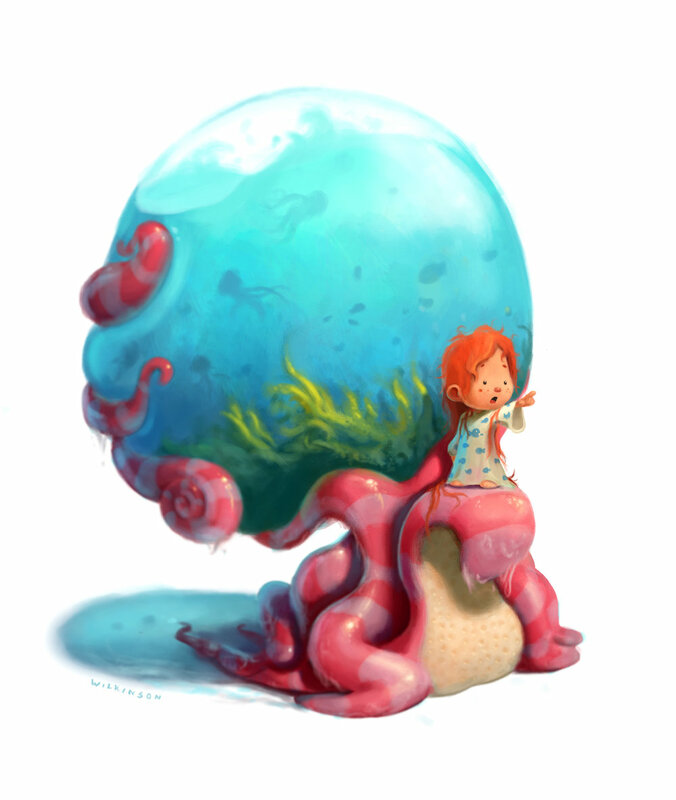 Meet Sarah and Squiggly as they take their fish ball for a wild underwater adventure!